With the formation and implementation of the environment and climate policy of Manipur Baptist Convention (MBC), many villages in the state have adopted the forest conversation in their areas, according to Director T Karang Maram of Peace and development department, MBC. Speaking to this reporter, Director Karang Maram said that the environment and climate policy of MBC was conceived in 2012 and implemented in 2015 after the church authorities and village chiefs decided to take up the right approach to prevent dangerous effect of environment and climate. 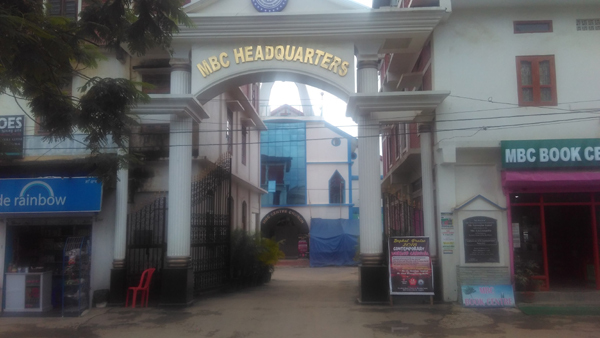 The policy is covering 1330 local and Fellowship churches of MBC under 29 Associations having more than 4 lakh members. NERCORMP (North Eastern Region Community Resource Management Project), a joint developmental initiative of the North Eastern Council and International Fund for Agricultural Development, is a livelihood and rural development project aimed to transform the lives of the poor and marginalized tribal families in NE India. Informing that during his 11 months posting as a Deputy Commissioner of Tamenglong district, Armstrong Pame had worked his level best for the betterment of the people and development of environment of the district by issuing necessary order to protect the forest and wildlife during breeding season(April-September), the MBC functionary added, two days awareness programmes for the churches by the social and environment services at their respective areas really helps the church members in understanding the issues relating to environment and climate change. As per the environment and climate policy of MBC, all the churches under the convention observed 1stSunday of June as green Sunday in honour of God’s creation and for the enhancement of protection of nature and environment with meaningful activities. The idea is to have a day of retrospection and repentance for the past negligence towards God’s creation and a day of thanks-giving and recommitment for stewardship. Interestingly incorporation of environmental lessons in Sunday schools, awareness on importance of biodiversity, effects of using chemicals in fishing, awareness education on climate change, community reserve forest protection, waste management etc happens to be the major steps of the MBC policy.